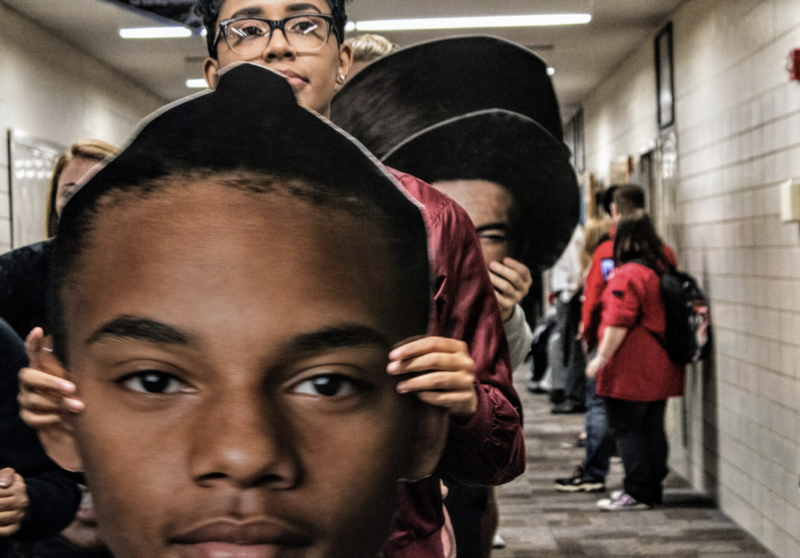 Big heads were a big part of the pep parade at Alliance High on Friday. 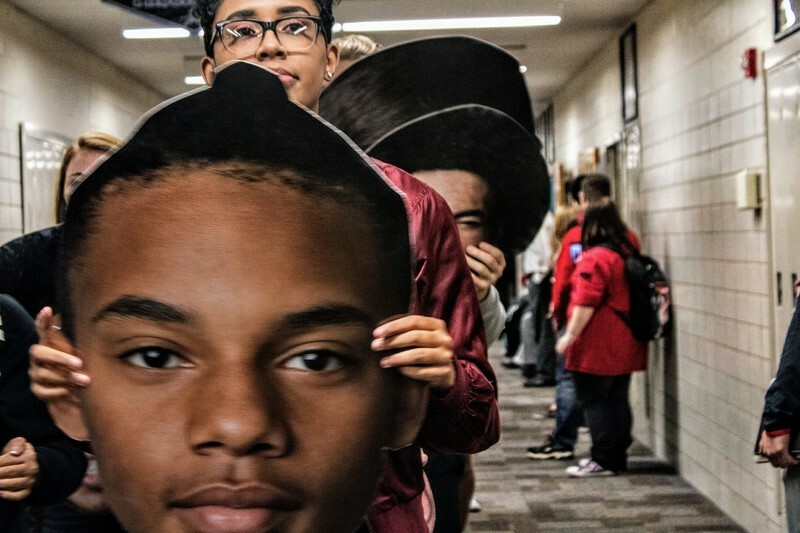 Cheerleaders, football players and marching band members paraded through the halls at 2 p.m. to show their support for the Aviators as they prepared to face Notre Dame-Cathedral Latin in Chardon that evening. 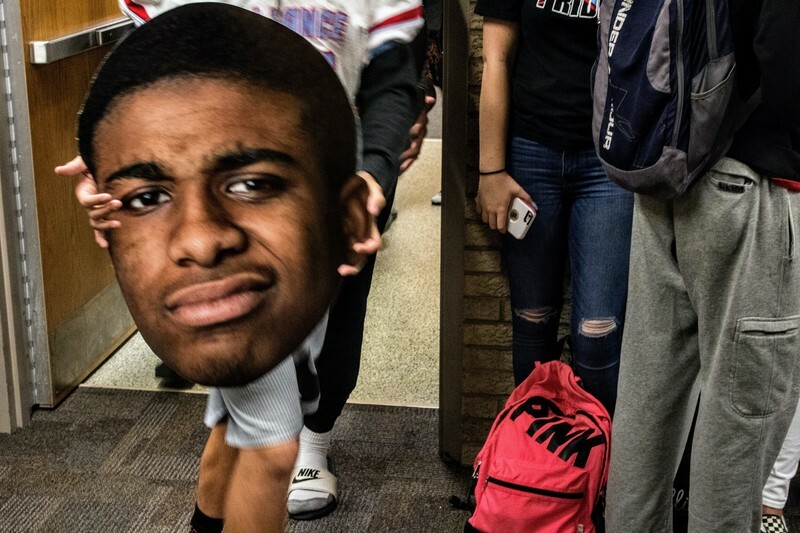 The big heads were created by Mr. Robb Quicci and Interactive Media students. 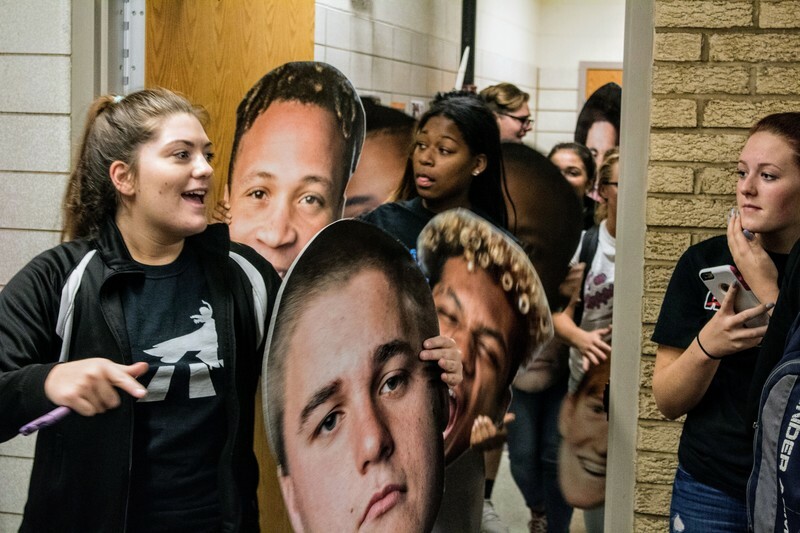 Football players were photographed in the Interactive Media studio. The photos were then printed, cut out, and mounted on boards. 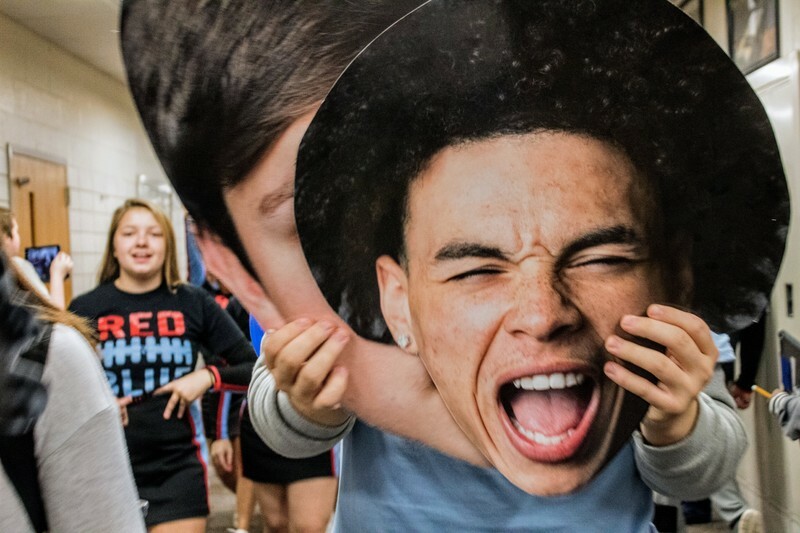 “It was great to see everyone come out and support the band, cheerleaders and football team,” said Will Kinser, a junior, who played trumpet with the band and recorded the parade with a GoPro camera mounted on his head. “I think we should do these parades more often,” he said.